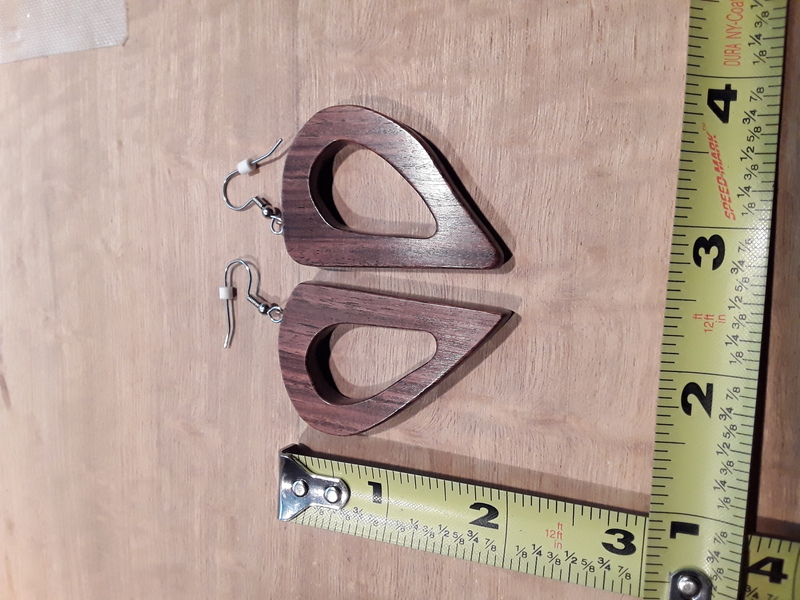 This style of earrings as you can see is another odd shape, sort of like a D and the complete shape was cut using the powered table scroll saw. To remove all teeth marks from cutting, hand files were used to remove those marks and then hand sanded using a lighted magnifying glass to verify all teeth marks and sandpaper grits removed. From 150 grit to 600 grit and you can easily see the sizes of these earrings using the tape measure as knowing the sizes. 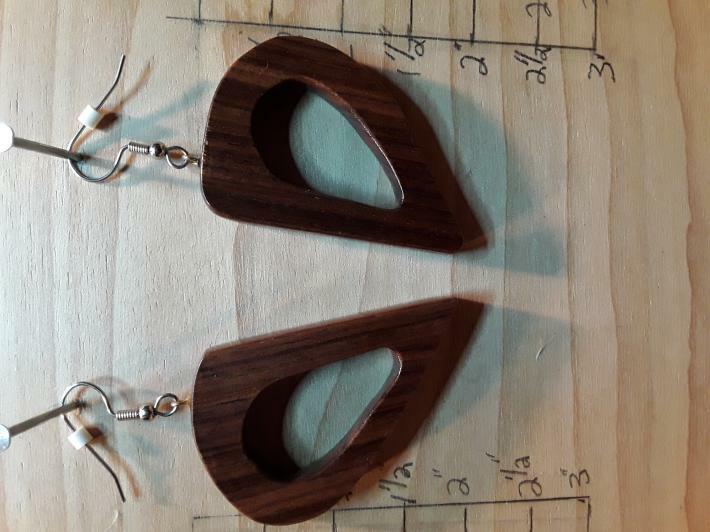 This pair of earrings took about 3 hours to complete from the first cut to buffing. Air compressor used to remove all dust, then double dipped in Watco Natural Danish Oil, let dry for 48 hours and then buffed. 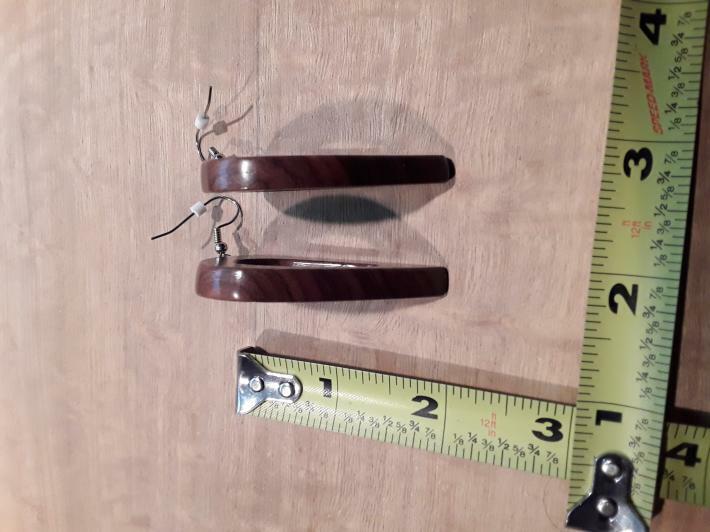 The french ear wire is Nickel Free wuth rubber backers.